ASKO appliances are continuously developed with the user in mind. 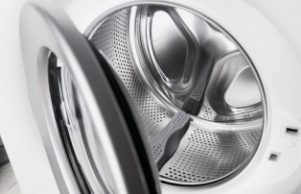 Since 1950, when Swedish farmer Karl-Erik Andersson invented a unique and improved washer for his mother, ASKO design has remained true to form, resulting in sturdy, attractive, multifunctional appliances. 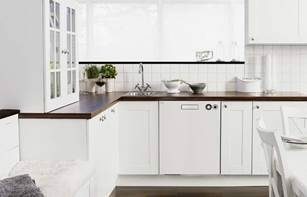 ASKO appliances are kitchen design friendly, and are conveniently built-in or retrofitted with old or new benchtops. The ASKO OCM8487S Craft Oven is typically Scandinavian, with a minimalist, sleek exterior concealing incredibly versatile cooking capabilities. 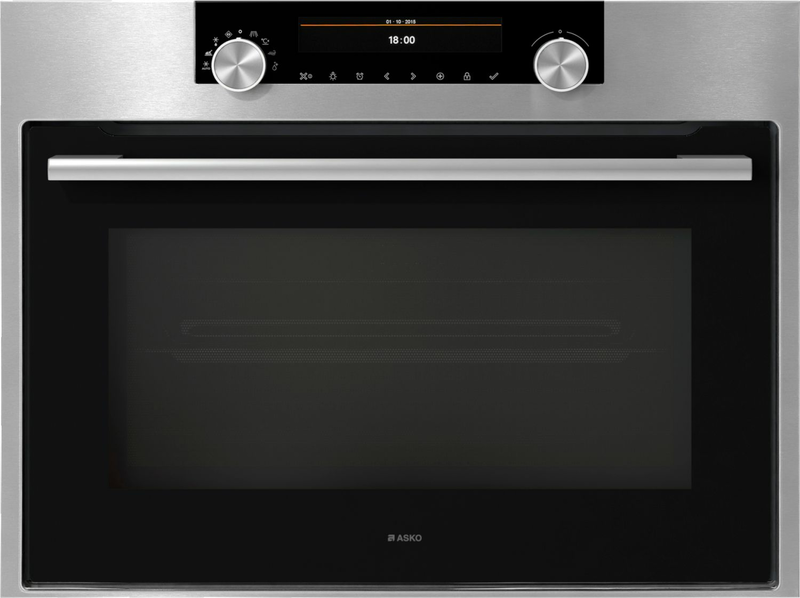 The ASKO oven range is second to none. Home owners and designers expect appliance adaptability and the choice of size and colour. 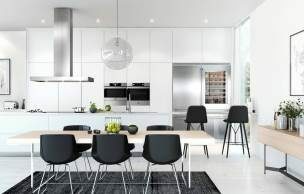 ASKO has all the above and more, including stainless steel and black appliances for colour coordinating any kitchen. The ASKO OCM8487S Stainless Steel Craft Oven is typical of the diverse ASKO oven range, providing more kitchen design options without sacrificing appliance quality. Craft ovens are particularly favoured by adventurous cooks who want to increase their culinary repertoire, regardless of family size or living space. As a combi microwave oven, the OCM8487S is already two appliances in one. Added to this are traditional convection oven principles, adaptable heaters, grills and fans, 20 functions and programs, plus an easy aqua cleaning mode that takes over when cooking is complete. Modern ovens reciprocate with the user and the ASKO OCM8487S Craft Oven is no exception. 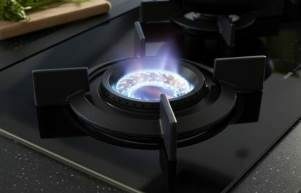 Fully adjustable heat settings accessed via the control panel can be used for defrosting, plate warming, rapid preheat, multi-phase cooking, auto roast mode and more. Convenience is key in modern lifestyles where work and commitments leave little time for sedately paced meals. The ASKO OCM8487S Craft Oven introduces a range of innovations and features that help create healthy meals faster and provide options even when the cupboard is looking bare. Not every meal can be a feast, but with an ASKO oven, every meal can be made fast, with consistent results that will have everyone coming back for seconds. Why choose the OCM8487S Oven? This compact and attractive wall oven is a favourite with new and growing families who require convenience, reliability and versatility. The microwave and hot air functions, for example, can operate together for faster reheating, while grill settings are adjustable for creating slender, healthy snacks or gourmet toasted sandwiches. 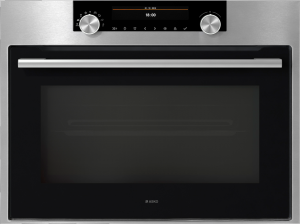 Pre-set cooking options are another way ASKO ovens provide convenience, as the oven automatically adjusts during the various cooking phases while you put your feet up or socialise. The craft industry is now big business, and mainstream acceptance has resulted in new products and approaches. Consumer expectations are continually evolving, and appliance manufacturers do take notice. 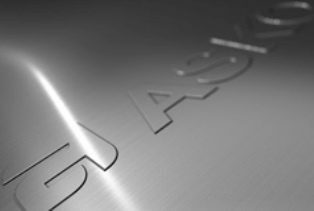 ASKO oven and appliance designers and manufacturers understand oven and cooking potential better than anyone; a result of more than 50 years creating cutting-edge appliances. The ASKO craft oven range is a hit with home renovators on a modest budget, solo home and unit owners, developers requiring maximum kitchen versatility, and families getting their first taste of real oven potential. 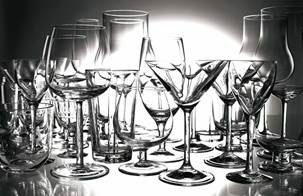 Craft products are known to punch above their weight and surprise the big manufacturers. ASKO craft ovens incorporate the best traditions, including wood fire oven principles, to create a niche craft oven market where originality is backed by quality manufacturing experience. The ASKO OCM8487S Craft Oven is adventurous and progressive, while retaining the integrated design features and kitchen compatibility that ASKO appliances are famous for.